Pain Science, and thus modern physical therapy talks about how perceived threat reduces pain and movement thresholds. Thus, it is highly recommended to use Therapeutic Neuroscience Education to educate the patient on what pain is, and what pain is not. More importantly, what may constitute a threat? Many who have embraced modern pain science, including myself occasionally forget there are real peripheral and physical threats, in addition to the obviously important neurotags the patient may have. I say "usually" to the above, because no one can really prove exactly what is threatening to the patient. Also, if their neurotags enhance the threat regarding a pelvic rotation, rib being out of place, etc, you may need to "address" that threat as well. Heck, I do not even really believe in ribs being out of place anymore, but that does not mean it didn't happen to me! 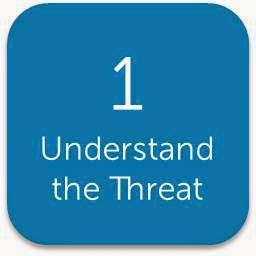 Bottom line: Assess the threats and address them!